Retailers are not required to make their bags a certain shape or style but they should consider the impact of their choice. As described in the About the Ban section, the goal of the Government’s bag ban is to move consumers away from single-use bags and into reusable bags, and this will be the intent of the Queensland Government’s consumer education campaign. Though the law only bans plastic bags with handles under 35 microns, retailers should consider how plastic bags that look or feel similar to banned bags will be perceived by the consumer, media and government. 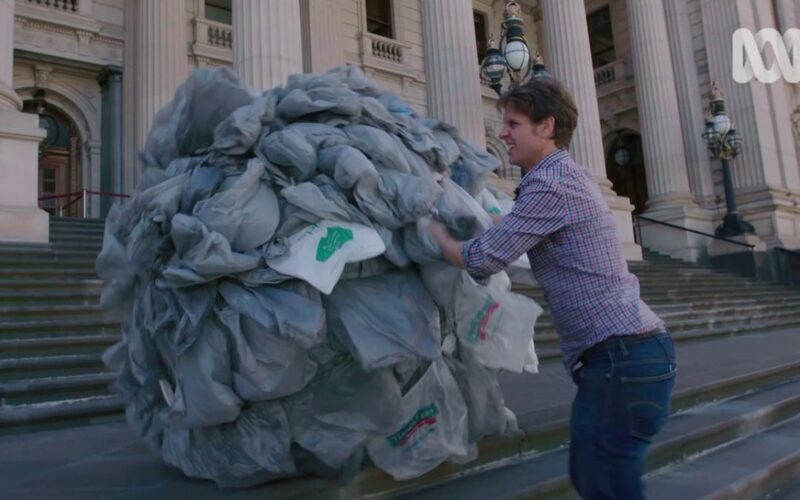 For example, the ABC continues to air new episodes of War on Waste which has proved its discussions around contemporary waste issues are popular with Australian viewers. Several retailers have been scrutinised in this program for appearing to ignore or ‘skirt’ bag ban laws in other Australian states. It is important to note that the regulation includes a provision to prohibit any bag the Government determines inappropriate.